Rob visits the Villiger Cigars booth to talk to Rene Castaneda. Rene talks about Villiger's commitment to the US market and the upcoming 1888 release, which utilizes the blend from the Villiger 100th Anniversary Germany release. New Villiger President Rene Castaneda will will join Logan and I on the show this week. Rene will fill us in on everything going on with Villiger and we'll have some great giveaways! 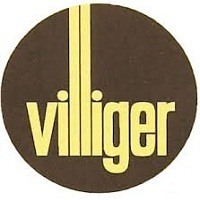 We chat with Fabian about the new look and director for Villiger USA.